Nikki Cross won a battle royal at tonight's WWE NXT TV tapings to earn the final spot in the Fatal 4 Way for the vacant NXT Women's Title at "Takeover: Houston" during WWE Survivor Series weekend. 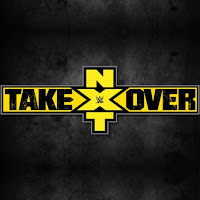 The battle royal should air on the October 25th NXT episode. We now know that it will be Cross vs. Peyton Royce vs. Ember Moon vs. Kairi Sane in the Fatal 4 Way at Takeover.